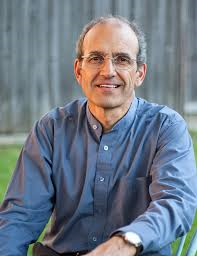 Ted Barris is an award-winning journalist, author, and broadcaster. 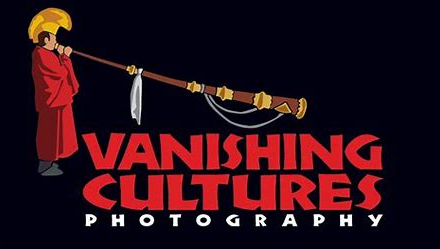 For more than 40 years, his writing has regularly appeared in the national press, as well as magazines as diverse as Air Force, esprit de corps and Zoomer. 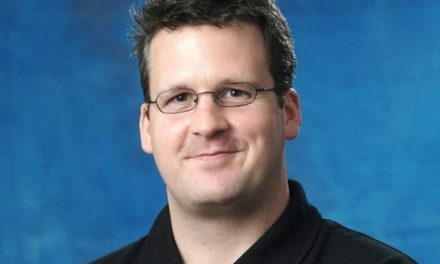 He has also worked as host/contributor for most CBC Radio network programs and on TV Ontario. And after 18 years teaching, he has just retired as a full-time professor of journalism and broadcasting at Toronto’s Centennial College. 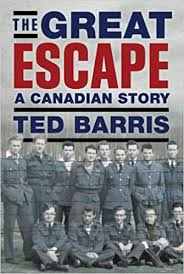 Barris is the author of 18 bestselling, non-fiction books, including a series on wartime Canada: Juno: Canadians at D-Day, June 6, 1944 … Days of Victory: Canadians Remember 1939-1945 … Behind the Glory: Canada’s Role in the Allied Air War … Deadlock in Korea: Canadians at War, 1950-1953 … Victory at Vimy: Canada Comes of Age, April 9-12, 1917 … Breaking the Silence: Veterans’ Untold Stories from the Great War to Afghanistan. His 18th book, The Great Escape: A Canadian Story, won the 2014 Libris Non-Fiction Book of the Year Award (shared with astronaut Chris Hadfield). His writing has also been published in such anthologies as The Canadian Encyclopedia … Total Hockey: The Official NHL Encyclopedia … A History of Maple Leaf Gardens … and a volume of learned papers presented to the Canada-Korea Conference at the U of T.
Barris’s remaining books are: Rodeo Cowboys … Spirit of the West … Positive Power (Story of the Edmonton Oilers) … Playing Overtime (A Celebration of Oldtimers’ Hockey) … Carved in Granite (125 Years of Granite Club History) … Making Music (Profiles from a Century of Canadian Music) co-authored with his father Alex Barris … and Fire Canoe, a Mark Twain-like retelling of 19th century steamboat history in Canada’s West. 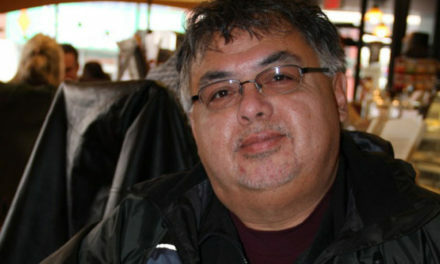 Among the awards Ted Barris has received: the international Billboard Radio Documentary Award, the Yorkton Film Festival’s Golden Sheaf, as well as numerous ACTRA nominations. He is an active member of military associations, including the RCAF Association, the Canadian Aviation Historical Society, and the Korea Veterans Association of Canada (he’s an honorary member). He is a patron of the Lucy Maud Montgomery Society supporting that author’s works and memory in his hometown, Uxbridge. In 2010, the town recognized Barris with its annual “Citizen of the Year” honours. In 2006, the 78th Fraser Highlander regiment awarded Barris its Bear Hackle Award to recognize his “contribution to the awareness and preservation of Canadian military history and traditions.” In 2004, the Remembrance Service Association of Halifax recognized Barris and his military history writing with its Patriot Award. In 1993, he received the Canada 125 Medal “for service to Canada and community.” In 2011, the Ontario (116th) Regiment awarded him its annual Medallion of Excellence for raising the profile of military history in Canada. 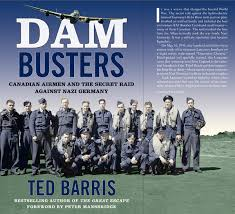 This fall, HarperCollins publishing releases Barris’s 19th book – Dam Busters: Canadian Airmen and the Secret Raid against Nazi Germany – about the famous 1943 attack on the Ruhr River dams that powered Nazi Germany’s industrial war production. PreviousSave the Date for upcoming FUN! NextFull Moon Snowshoe and Raclette…what a party! !